SOCIAL SECURITY: IS IT SOLVENT, WILL IT CONTINUE TO MAKE PAYMENTS AND WHAT DOES THE FUTURE HOLD? According to the 2012 Board of Trustees Report for the Social Security and Medicare Trust Funds, released on April 23, 2012, the funds, though relatively stable, are being impacted by the recession. The 2012 report finds that, if no Congressional action is taken, the Social Security Old Age and Survivors Insurance (OASI) will be able to pay 100% of scheduled benefits until the year 2033. Following that, scheduled benefits would still be paid at a reduced level of about 75% after 2033 using incoming payroll tax revenue. However, the need to shore up the Disability Insurance (DI)Trust fund is much more immediate with exhaustion projected to occur in 2016. Although like the OASI fund, the DI fund would continue to pay 75% of scheduled benefits with incoming payroll tax revenue. There are two Social Security Trust Funds – The Old Age and Survivors (OASI) Trust Fund and the Disability Insurance (DI) Trust Fund. 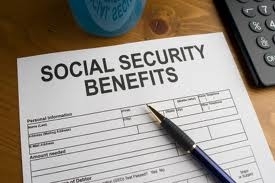 The Social Security program administers benefits through a social insurance program. It is funded through payroll FICA taxes. The employer and employee each pay 6.2% of earnings (or 4.2% for the 2011-2012 temporary payroll tax holiday for the worker portion) and 1.45% of earnings for health insurance under Medicare Part A up to an income cap of $110,100 a year. The portion of this premium that pays for disability insurance is .9%. The remainder pays for Old Age and Survivors Insurance (OASI). Today 1 in 6 Americans receives Social Security. News reports that Social Security is soon to be “bankrupt” are misleading. The 2012 Trustees Report found that Social Security is 100% solvent through 2033. In 2011, Social Security had a surplus. Social Security revenue plus interest income was in excess of outgoing payments by $69 billion dollars. Reserves are projected to grow to $3.1 trillion by the end of 2020. After 2033, if Congress takes no action, workers and employer contributions alone will cover 75% of scheduled benefits. Actuaries anticipate there will be a shortfall by 2033 of 25% of income over outgo due to the number of baby boomers reaching age 65 and increasing longevity of many seniors. Without an increase to the Social Security contribution rate, a gap will likely occur. . Many news reports also inaccurately suggest that the increasing number of disabled workers has affected the long-term solvency of these funds. In August 2011, 8.5 million former workers received disabled workers benefits, as did 1.8 million of their children. Recipients of SSDI have nearly doubled between 1995 and 2011. The number of beneficiaries increased in a large part because women have now been in the workforce long enough to be insured for benefits; and a large number of baby boomers entered their disability prone years. One solution to this more immediate concern relating to Disability Insurance is for Congress to authorize inter-fund borrowing or re-allocate the 6.2% between the two funds. In the current political climate, many people may wonder whether the United States can continue to afford the Social Security program. One helpful way to evaluate this is to compare the benefits scheduled against the size of the US economy. Social Security benefits are now 4.9% of the United States economy or Gross Domestic Product (GDP) and are projected to rise to 6.4% in 2035 remaining between 6.0 to 6.1% through 2090. This increase is smaller than the growth in spending that occurred when baby boomers entered public school. The average disabled worker receives $1,070/month or about $12,820 a year. The poverty guideline in this county is $10,890 a year. Those workers with one or more dependent children had average family benefits of $1,640.00 or $19,690 a year. The poverty guidelines for a family of three are $18,530.00. For many recipients of Social Security, this is their main form of income. Nearly one-half (46%) of disabled worker beneficiaries rely on benefits for 90% or more of their total income. With many seniors and disabled American citizens relying so heavily on Social Security benefits, it is incumbent on lawmakers to act now to phase-in long-term solutions to these challenges.